The concept of retirement is changing drastically. Ten thousand baby boomers are turning sixty-five every day. At the same time, the days of corporate pensions are disappearing, the future of Social Security is uncertain, and more people have to figure out a way to “self-fund” their retirements. What’s more, people are living longer than ever before. That means many retirees now have to plan for not just how to make their money last as long as they do, but also how to create meaningful and fulfilling lives for a much longer period of time. 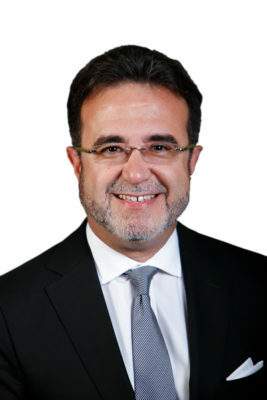 Emilio Pardo is on a mission to help them do both through his role as senior vice president and chief marketing and communications officer of Jackson National Life Insurance Company (Jackson), a leading provider of annuities in the United States. To succeed, he believes the financial industry and individual investors need to transform their perspectives and expectations about retirement. Pardo points out companies should recognize shared characteristics between consumer groups, such as millennials (whom Pardo calls the 401(k) generation) and baby boomers. They both desire financial freedom so they can dedicate their lives to personal priorities and purpose. To help them in that pursuit, Jackson offers several different sets of tools. The Financial Freedom Studio, Jackson’s financial education platform, provides a range of advice and information on a variety of topics. It includes everything from how to pick a financial advisor to savings and investment education. Another priority is providing numerous ways to provide financial education to people of all ages in the US. The goal is to raise their overall understanding and confidence when dealing with financial matters. Cha-Ching Money Smart Kids is a series of three-minute music videos for seven-to-twelve-year-olds that covers all aspects of financial education and literacy. By partnering with Junior Achievement and Discovery Education, the series is on track to meet Jackson’s goal of reaching more than one million students, parents, and teachers this quarter. For adults, Jackson is working with the League of Latin American Citizens and Latinos for a Secure Retirement in presenting a speaker series on financial planning preparedness. In addition to promoting stronger financial education among Americans, Jackson is pursuing prominent consumer-focused sponsorships to reach a broader audience. As part of this effort, the company recently sponsored Exhibitionism—The Rolling Stones, a once-in-a-lifetime celebration of the creative and age-defying journey of true rock-and-roll legends that is brought to life through an interactive traveling exhibit. Pardo wants to implement all of these changes to create an industry that better reflects the world’s realities and the public’s desires.